There are reports & photos from around the world showing thousands rallying to support Gaza & condemn Israeli ethnic cleansing. Protesters marched in Algeria; London, Leicester, Nottingham, Birmingham, Gloucester, & Manchester, England; Paris, France; Oslo, Norway; Dublin, Cork, Limerick, Galway, Belfast, & Derry, Ireland; Semarang & Jakarta, Indonesia; Athens, Greece; New Delhi, India; Tunis, Tunisia; Pretoria, South Africa; Brussels, Belgium; Ankara, Turkey; Shopian District, Bandipora District, & Srinigar, Kashmir; Sana’a, Yemen; Glasgow, Aberdeen, Edinburgh, & Dundee, Scotland; Perth, Brisbane, Sydney, & Melbourne, Australia; San Salvador, El Salvador; The Hague, Netherlands; London, Ontario & Toronto, Canada; New York City, San Francisco, Seattle, Boston, San Diego, Los Angeles, Minneapolis, St. Paul, Pittsburgh, & Denver, USA–& many, many more places not yet reported. 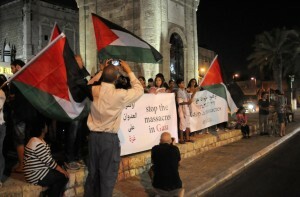 This photo is the protest in Tel Aviv-Jaffa, Israel, about 45 miles from the Gaza border. 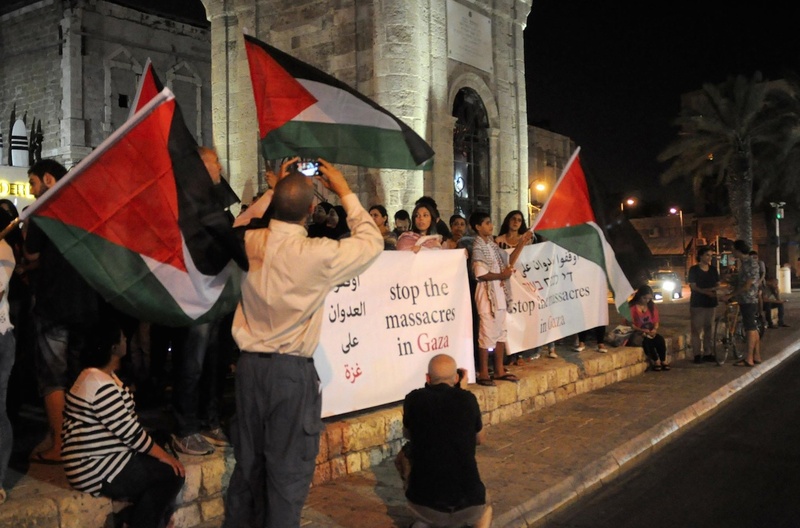 This is the chant that’s gone round the world: Stop the massacre in Gaza! Our fullest solidarity with the people of Gaza! Previous PostDocumentation of Israeli war crimes in GazaNext PostRIP Anas Qandeel: Long live Palestinian intifada!